MAC is a leading professional makeup brand authority, with unrivaled expertise in the world of makeup artistry. With the official full name of Make-Up Art Cosmetics, they were first established in Toronto, Canada by Frank Angelo and Frank Toskan in 1984. The company is now headquartered in New York City and in 1998 became a part of the Estee Lauder Company. As of today, their products are sold in more than 120 countries worldwide, and they are committed to developing new products, categories, and collections every year. Frank Toskan was a photographer and Frank Angelo was a beauty salon owner. Motivated by their frustration at how bad makeup appeared to come across in photos, MAC cosmetics was created in the men’s kitchens to fulfill their professional makeup needs. Their decision to package products in black pots rather than compacts quickly became the company’s signature branding. The first big break for MAC came when Madonna wore one of their lipsticks for a photo shoot in the late 1980s. With an aim to create products that are suitable for absolutely anyone and everyone, MAC has the mission statement “All races. All Sexes. All ages”, demonstrating that they embrace all consumers. 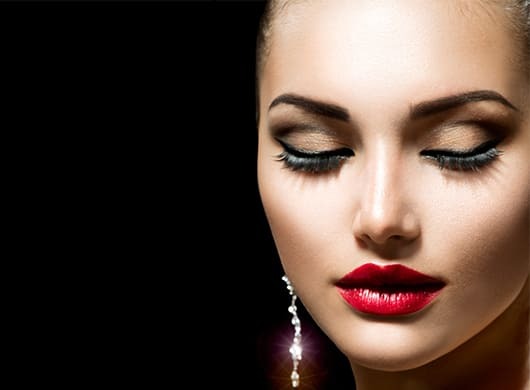 Their vision is to be the leading makeup authority for both customers and professional make-up artists globally. One of the best things about MAC is their commitment to abolishing animal testing. They were one of the first beauty companies to use alternative methods to animal testing and are continuously fighting to end animal testing worldwide through their partnership with The Institute for In Vitro Sciences. The company has taken the beauty industry by storm with their wide range of products, created with the perfect blend of street savvy and glamorous style. One of their more recent creations are the MAC lashes. If you’re wondering where you can get your hands on a pair of these, then you are going to want to read on. Your best bet for purchasing a pair of these falsies is directly on the MAC website. They offer free standard delivery on all orders and have the widest range of products available on their online store. Some of these products are exclusive to the online store. You can also shop these lashes on eBay and Amazon if you would prefer to go down that route. In addition, check out Nordstrom.com, Bloomingdales.com, Belk.com, Dillards.com, and Macys.com, who are all authorized retail partners of MAC. There is a store locator on the MAC website if you wish to go directly to a store and want to know where the closest one is located. Online shopping is more convenient – but we get it – but sometimes you just want to see the actual product before you buy it. Generally, though, if you are looking for MAC lashes for sale, then check online. These natural length MAC Lashes 1 feature a full, dense, and slightly wispy look. They have been handmade to exact specifications. Designed to add natural length, the MAC Lashes 2 feature a wispy fringe. They are feathery and delicate, but really make your eyes pop. Full natural-looking lashes that add length, the MAC Lashes 3 are designed to give fullness without that fake, over-exaggerated look. The MAC Lashes 4 are wispy lashes that feature an organic look. They are soft, natural-looking and perfect for dark eye colors since they are so black in color. The MAC Lashes 6 are designed to add lush length and give a wide-eyed, full, and spiky look, perfect for a bold, party outfit. With a dramatic length and a dense, spiky feel, the MAC Lashes 8 are quintessential for a bold and daring look. These full and voluminous lashes look both natural and dramatic. The MAC Lashes 12 will really make your eyes pop. These half lashes have been created to enhance the density along the outer edges of the eyes. Guaranteed to make your eyes stand out. The MAC Lashes 20 are ideal for everyday use. The MAC Lashes 21 are full-bodied, great for building volume and adding length. If you want a natural look yet still crave the beautiful long lash effect, then this style is ideal for you. The MAC Lash 30 is a set of individual lashes in one package that comes in three lengths for versatility and ultimate customization. The MAC Lashes 31 have a natural, wispy length that is perfect if you are looking for a little extra volume for everyday wear. The MAC Lashes 32 combine individual hairs and lash bundles to create the ultimate natural-looking volume. The MAC Lashes 33 will help you create the ultimate flirty look. Embodied with natural length and separated bundles, these lashes provide a perfectly flirtatious retro-mod fringe. The MAC Lashes 34 are dramatically wispy and long and feature winged outer edges. They are of a high quality and really make the eyes stand out. These lashes, the MAC eyelashes 35, have a slightly dramatic length which ensures fullness towards the center of the eyes. These stunning MAC Lashes 36 add fullness and volume and are naturally angled to add drama towards the outer corners. The MAC Lashes 43 give an everyday flirty fringe with their natural length and wispy bundles. The MAC Lashes 44 feature dramatic winged corners and separate bundles that ensure a full-eye effect. The MAC Lashes 48 embody longer, wispy bundles and have an even edge for a flirtatious fringed appearance. 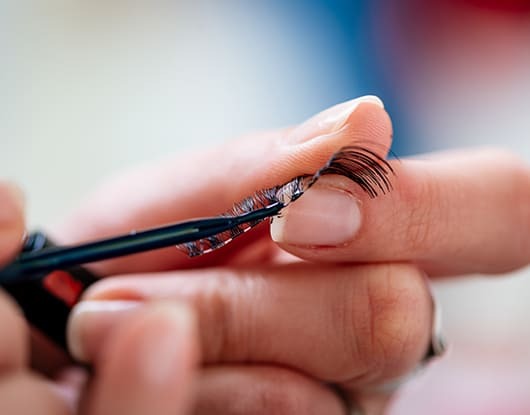 Aside from the vast variety of false lashes that MAC sells, they also stock two types of adhesive; the Duo Brush On Striplash Adhesive and Duo Adhesive. The Duo Adhesive is a safe latex formula glue, that can be used with the MAC lashes. The Duo Brush On Striplash Adhesive, on the other hand, is a dark tone, latex-free adhesive that comes with an ultra-thin brush, to help with a more precise application. If you have sensitivities to latex, opt for the Brush On Striplash Adhesive, rather than the Duo Adhesive. How Do We Rate MAC Lashes? The good news is that the positives of MAC lashes far outweigh the negatives. This is a well-respected brand that has been endorsed by many celebrities and is trusted within the beauty industry and among customers alike. MAC is considered to be one of the best beauty brands on the market. From setting trends backstage at fashion weeks all around the globe, to attracting millions of fans from every corner of the planet, MAC has established itself as one of the best in the biz. This mega-brand is also at the forefront of many important causes, such as the fight to abolish animal testing and making contributions to HIV/AIDS charities since 1994. Although more expensive than drugstore falsies, the prices of these lashes are good for a high-end brand. For around $17, you can get your hands on their fake lashes. MAC is a high-quality brand. The MAC team is committed to producing only the best products – after all, the brand was established when the founders were frustrated by the low-quality beauty products on the market. 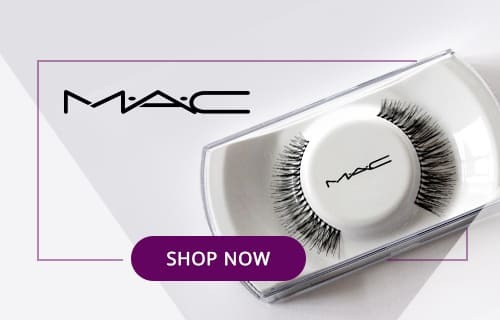 MAC Cosmetics also offers exclusive samples at checkout when purchasing their lashes. MAC has an incredible collection of lashes available to choose from. Seriously, you might get stuck for hours trying to choose your ideal pair – and then you might just end up buying them all. Whether you’re looking for natural or dramatic, casual or glamorous, there’s something for everyone. The durability of the MAC false lashes is outstanding. Most people that use these falsies report being able to reuse them on multiple occasions without any hassle. MAC Lashes are an excellent choice if you’re looking for great quality, long-lasting, and beautiful fake eyelashes. MAC is a well-known and reputable brand, with high-quality guaranteed. With an overall 5 star rating, you can’t really go wrong with these lashes. They are a beauty lover’s makeup drawer staple. These are just so good for drama, whoa! gives me eyes exactly what I was needing. Got these for my girl’s birthday. She was really happy with them. I would’ve been completely lost if I hadn’t read this review and would have ended up buying her something crappy lol. Thanks for saving me. MAC is one of the few lash brands that don’t cost a fortune in Scandinavia, so I’m glad i ended up opting for these more affordable lashes instead of something super pricey of the same quality. Appreciate the suggestion.